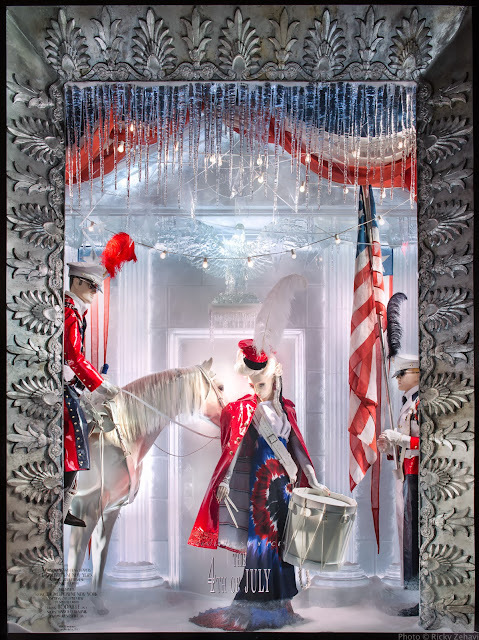 Every holiday season, David Hoey and his team put on the most spectacular show in windows in New York City. For every passerby on Fifth Avenue, it is a feast for the eyes and the experience of theater behind the glass. While the windows display immense beauty and extravagance beyond your wildest imagination, it's greatest gift is that of a conjuring of childlike wonder within all of us. 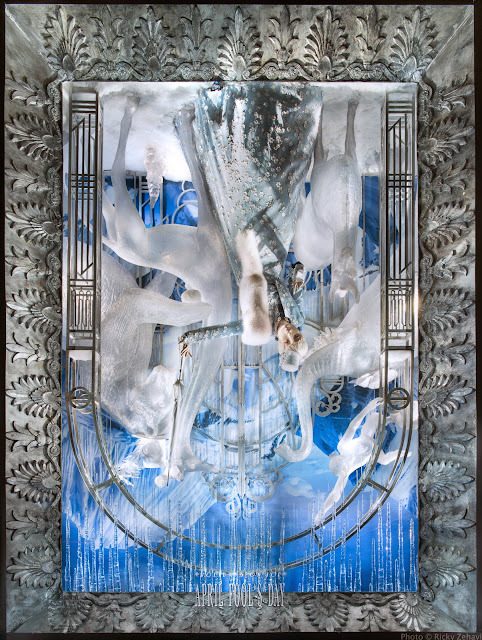 This year's windows continue these traditions with "Holidays on Ice", featuring various holidays cast in a frozen landscape. 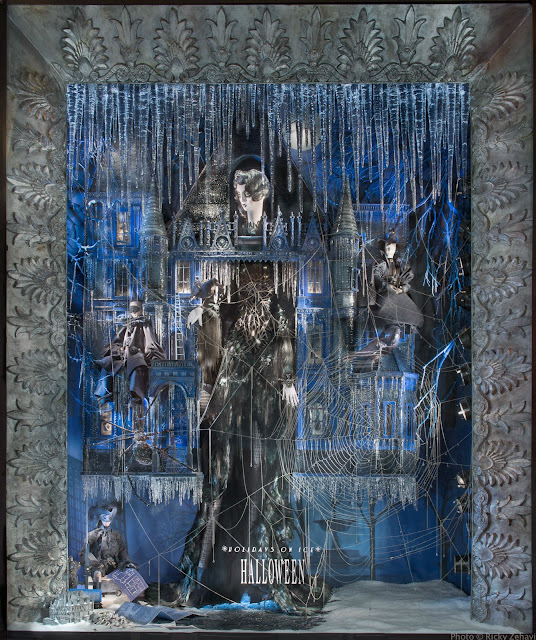 While it has been five years since I worked on the windows team at Bergdorf Goodman, I continue to apply the wealth of knowledge David and his team bestowed upon me in my current creative endeavors. 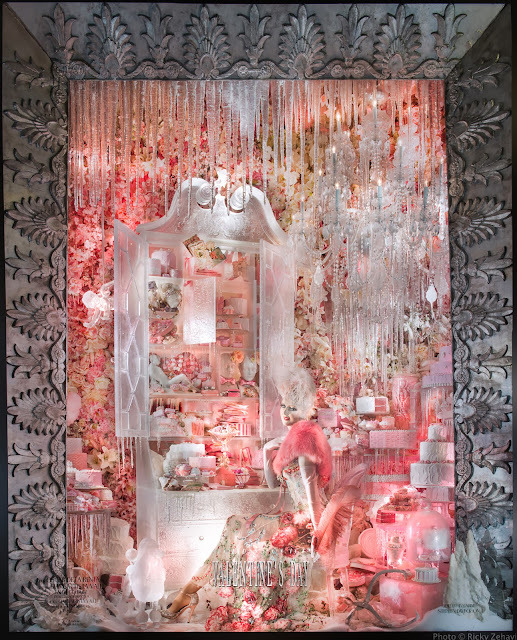 Behind the magic of a great window team there must be a photographer who captures the vision and gives it to all. 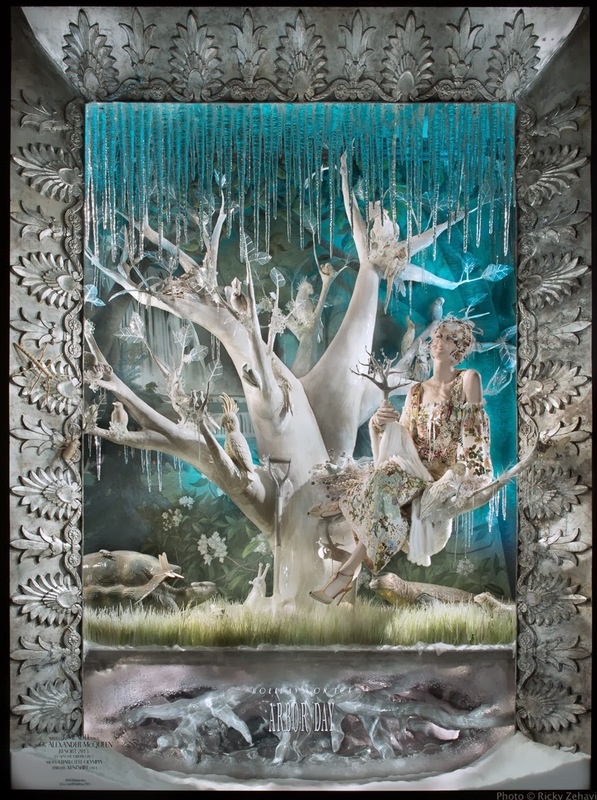 And that person is the talented Ricky Zehavi who has the succinct ability of revealing the artistry and detail of each installation. Working as a photographer in New York City for 25 years, Ricky has accrued an impressive client list and her work for Bergdorf Goodman is featured in "Windows at Bergdorf Goodman". You may view more of her work at www.rickyzehavi.com and more about the photographer here.